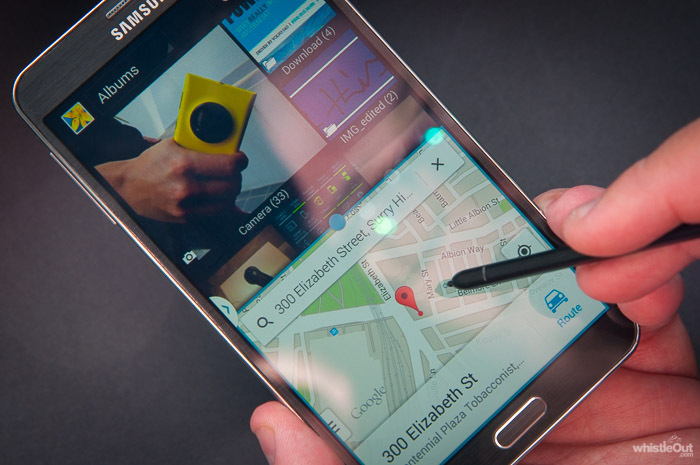 Lumia 1020 on Galaxy Note 3 Promo Picture!!! How ironic in this article that the Samsung Galaxy Note 3 is rated as one of the best cameras on a smart phone but the icon for the camera shows a Nokia Lumia 1020. Bit like looking at a brochure for a BMW stating how they make the best cars and showing a Mercedes in the picture! Guess the Lumia 1020 in yellow is just way more photogenic! Still there when viewed from Australia! Maybe different in other countries. I think the picture of the 1020 is a photo taken with the Galaxy's Camera and saved as a thumbnail. Still, rather ironic. The way the hand grips the 1020 is like, THIS is the king. Yup, I got it wrong. I thought they had the 1020's picture on the site as the GN3. Qik or Bambuser video streaming equivilent app's on WP???? Rooms on WP8 Annoying problem Help! Alternative apps to those on IOS and android?